Dermatitis of the hand due to wearing rubber gloves. 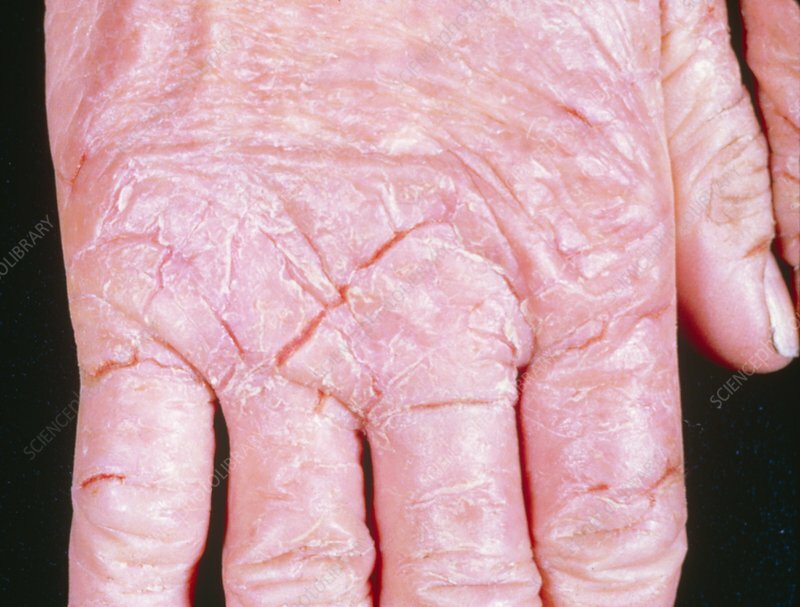 Dermatitis is a term used to describe the inflammatory reactions of the skin to external agents, as described in "industrial" or in "contact" dermatitis. The term eczema has a similar meaning but is applied to cases of systemic or constitutional dermatitis which result from endogenous causes. Both natural & synthetic rubber require the addition of substances which are strong sensitizers to dermatitis. Such potentially-allergenic additives make the rubber more supple, prevent perishing by oxidation and may speed up the manufacture process.